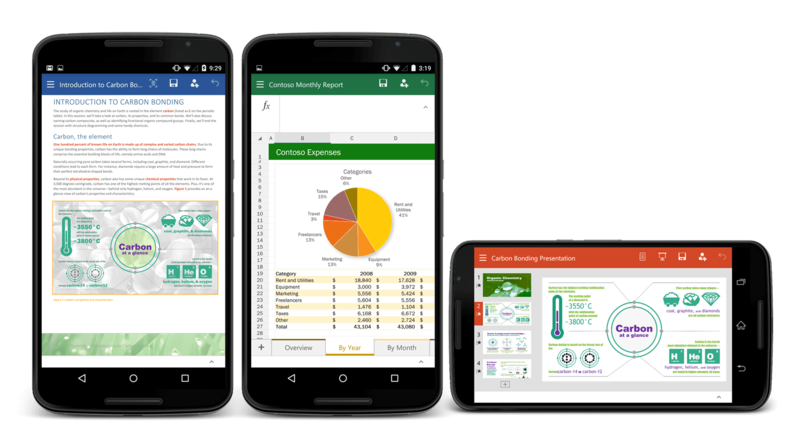 Earlier today, Microsoft released the preview for Office for Android phone apps. The separate Word, Excel and PowerPoint apps are now individual apps and brings in line while the company is doing around the Office apps across all platforms – Windows Phone, Android and iOS. The goal of course is to have a consistent user experience regardless of the device that you are using. Today, if you use Office for Android tablet, it is a far different (and superior) experience to the Office Mobile app on Android Phone. That now has changed with this preview. To get the Office for Android phone apps, you will have to join the preview program. After the break I’ve outlined what you need to do in order to get into the program and to download the apps. Once they are installed, you will be able to update them via the normal update process in the Google Play Store. Join the Office for Android community. Once you join the community, Become a tester by clicking the links to the Word, Excel andPowerPoint. Wait for Google Play to replicate permissions (this may take ~up to four hours), click the above mentioned links and then follow the download links to install apps using Google play store. Now if you have the Office for Android Tablets installed on your Android Tablet, after you join the Office Community and become a tester, you can go to the Play Store then navigate to My Apps and find the Office apps there. If you have signed up you should now be able to install them on your Android Phone. I have been doing some testing this afternoon on these new apps and so far they appear to be quite stable. Technically they are in preview mode (the modern vernacular for “beta”) so if you don’t want to have beta bits on your phone then wait until these are officially released. No firm release date has been provided by Microsoft but it will likely be this Summer or Fall. Have you installed these previews? If so, what do you think? Leave me a comment.